Blip.fm is internet radio made social. It's easy to search for, play, and discover free music recommended by real people. Join today to create your own free station and start listening to @QueenOfRadio. QueenOfRadio And then there's this jewel, @SpecialEd! QueenOfRadio @SpecialEd - Here's another one! Dylan did it originally, but you know how I love Franti! QueenOfRadio @SpecialEd OMG! I loved that song! Here's one for you. Material Issue – "Valerie Loves Me"
QueenOfRadio for you @SpecialEd I really like this one! 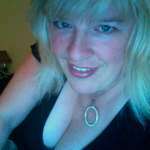 QueenOfRadio Hey @SpecialEd - don't say I never blip you nuthin'! The Black and White Years 1 "A Wetter Sea"